1 First, get your pan nice and hot over medium high heat. Pour some oil and sauté the ground meat until toasted. 2 Add the dissolved Knorr Complete Recipe Mix Kaldereta and liver spread and bring this to a boil then lowering the heat to a simmer until sauce is thick. 3 Simply spread the sauce on top of the crust. Follow this up next by arranging the bell peppers, pepperoni, and cheese. Bake or toast until the cheese melts in a toaster or using an oven. 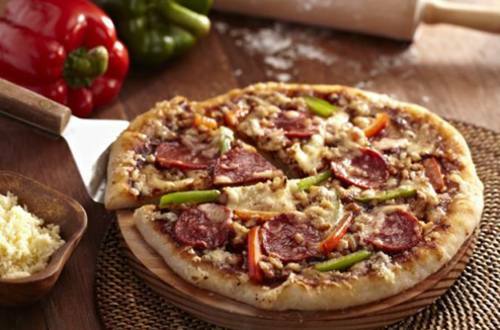 4 You will surely crave for more Kaldereta Pizza because it’s simply that addicting.